How to Write a Classification Essay. 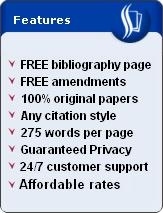 A classification essay can be best described by the word "classify". In other words, the classification essay is supposed to group certain subjects or ideas for a given topic. The kinds of groupings may vary depending on the context but should remain relevant to the essay topic. You can have as few or as many classifications in your essay as possible, provided that they do not exceed or fail to meet what is required. 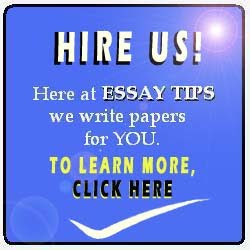 The following are tips and examples in writing a classification essay. The most important tip to remember is that a classification essay should have categories. These categories should evenly breakdown your general topic. For example, if your essay topic is "parts of a desktop computer", you should categorize your topic into "software" and "hardware". Your categories can have one or several sub-categories. These minor components should further specify the classification you are trying to make. Using the previous example topic, you may further classify "hardware" as "input", "processing", and "output". While you may have several classifications and sub-classifications [and perhaps even extend to even smaller and more specific classifications], remember that you should not make more or less classifications that what is actually needed. Otherwise, your classification essay will not be clear and will only confuse your reader. Avoid too many and too few classifications; go for what is enough. It is equally important in your classification essay to determine precisely what type of groupings you will use. In certain topics, you may be asked to classify according to "effects", "causes", "kinds", and many others. What is specifically asked should serve as your primary guide for choosing the type of classification you will make. Avoid using very broad classifications that may include others which are not supposed to be included in your essay. You may want to start writing the draft for your classification essay by making a "list". This list should include the main words that you will write about. Using the previous example topic "parts of a desktop computer", you may want to list down keywords such as keyboard, mouse, computer screen, hard drive, printer, speakers, and others. Writing a classification essay basically requires the skill to make groupings that are relevant to the essay topic. The purpose of classifying can be compared to segregating a clutter of things into whether bedroom stuff, kitchen utensils, or garage equipment so that you can group them properly. You may also want to read about how to write a narrative essay, or how to write an essay.